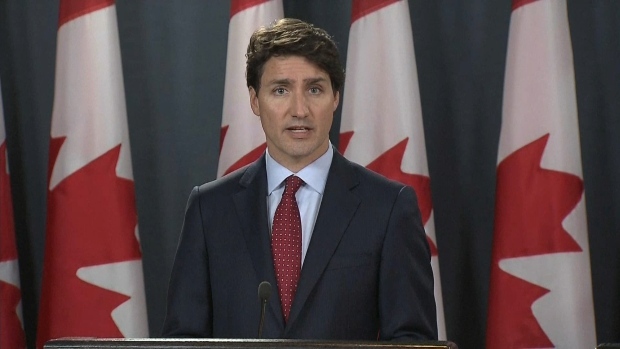 Canadian Prime Minister Justin Trudeau slammed the White House on Friday for claiming that it was imposing new tariffs on Canadian steel and aluminum to protect American national security interests, NBC News reported. "Our soldiers who had fought and died together on the beaches of World War II...and the mountains of Afghanistan, and have stood shoulder to shoulder in some of the most difficult places in the world, that are always there for each other, somehow — this is insulting to them," Trudeau said in an exclusive interview with Chuck Todd of "Meet the Press." He went on to say that the idea that Canada is a threat to national security for the U.S. is "insulting and unacceptable." In response to new U.S. tariffs, Canada is imposing retaliatory tariffs, which is "the strongest trade action Canada has taken in the post-war era," according to Canadian Foreign Affairs Minister Chrystia Freeland. The White House announced the U.S. would place tariffs on aluminum and steel from Mexico, Canada and the European Union.